The gaming mouse is one of the essential personal gaming PC accessories. Even a simple mouse used for doing every task on your PC, but there is a different feeling for a gaming mouse. Gaming mouse comes with flashing lights, vibrant coloring, and edged designs. All these characteristics appeal for high notch gaming. But to enjoy all this, one must know what are the best gaming mice in the market and what should buy for a specific level of gaming. So to clear all the doubts, team Laptopgeeks has shortlisted the best gaming mouse under 40 Dollars. If you are looking for a better mouse and extra 10 to 15 $ does not affect you, then you may go for Steel Series Rival 600 Gaming mouse. This mouse costs above 40 $ but the features and functions of it encourage us to include it in this article. All the other mice are under 40 $ except this one. You may like to review this one before moving towards the budget mice. Steel series Rival 600 gaming mouse looks like a bug. The separated segments look like a real-life bug. The texture of the casing is smooth and shiny. The side grips are made up of silicon and provide a comfortable hold of the mouse. On the top of the mouse are located the right and left click buttons in between which lies the textured scrolling wheel. There is a logo of SteelSeries below the buttons assembly. The left side of the mouse also hosts two buttons called thumb buttons. The rear of the mouse can be unloaded from the full assembly of the mouse to make it lightweight. But this will not be required as the whole assembly also represents a balanced device. This mouse regarded as the world’s lowest and most accurate lift-off distance holder. With a cable length of 2m, it will be quite convenient using it from a distance. Rival 600 hosts split trigger 60 million click mechanical switches. It also equipped with 256 centers of gravity weight tuning configurations. The lift-off distance is customizable from 0.5 mm to 2 mm. The DPI values range from 2000 to 3000 DPI. The sensor combo is also superb. Putting it all together, the accuracy and tracking capabilities of this mouse is entirely accurate. The design of Logitech G403 is very feminine with curves on the outer sides. There are rubber side grips for better control. The logo of Logitech is in the lower center of the mouse. This is a full RGB mouse. The logo shines with green, red and blue colors. Talking about the upper part of the mouse, there are two; right and left buttons as usual. In the center is a scrolling button with linear portions bulged out. It also has alighted part in the center of the scrolling circle; RGB. The dimensions of Logitech G403 are 4.9 x 2.7 x 1.7 inches. It runs on Logitech Gaming software. By using this software, you can change it’s DPI, program buttons, link individual profiles to games, change the color of the lights and monitor the battery life. The performance of this mouse with games is also flawless. From Overwatch to Marvel heroes, it lets the users play every game with ease and fun. Corsair M65 comes with three fragments with a thumb-rest on the left side of it. 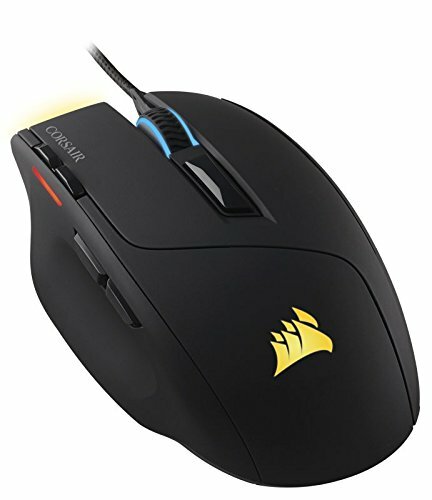 The logo of Corsair is on the sloping downside of the mouse in the front of the user. The whole assembly is black Aircraft-grade Aluminium structure. It is an RGB mouse. Its dimensions are 4.6 x 2.8 x 1.5. There are a total of 8 functional buttons. 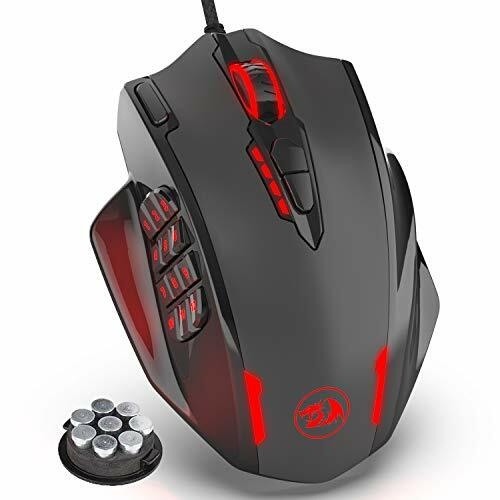 In the center of the mouse, between the left and right buttons, you will have a clickable lined scroll wheel, buttons to adjust dots per inch DPI sensitivity up and down, and a sniper button on the left side of the mouse in red color. The aluminum frame provides a lightweight mouse with symmetrical mass distribution and extended durability. Due to the advanced weight tuning system, it enables the user to set the center of gravity to match his/her play style. With a gaming grade PMW3360 optical sensor for pixel-precise tracking, it enables the mouse to give you superior performance. The technology of iCUE makes it quite comfortable to set button mapping and other features for your favorite games. You can also easily save your gaming profile to your M65 Pro RGB and take it anywhere with you. Not appropriate for formal use such as an office or seminar etc. Redragon Impact gaming mouse has dimensions of 4.8 x 3.6 x 1.6 inches and weighs 10.4 ounces. The design of this model is a unique one as it hosts a total of 18 programmable buttons. RGB backlight also has a different feeling as has 16.8 million RGB LED color options. This feature can also be disabled. Overall this mouse is very colorful and looks like a small monster. On the upper front part, there is a scrolling textured wheel button, and two left, and right clicked buttons, below which there are two buttons for adjusting the DPI level higher or lower. On the top left corner, there is a long button for rapid fire function. On the lower side of the front view is the logo of Redragon lighting in a different color as you play along with it. On the left side of the mouse host 12 programmable buttons for various features of your favorite games. This mouse designed with a LASER technology with up to 12400 DPI. To meet your different levels, it has 5 adjustable DPI levels either for daily working or for gaming. It has 5 memory profiles each having a specific light color that helps in quick identification. You can also change the weight of the mouse according to needs. To serve that purpose, it comes with 8 piece weight tuning set. RedragonImpact comes with comfort and precision. It is a complete package for die-hard gamers. This model is so precise, accurate and comfortable for hands to use that it enables the users to get used to it very quickly. Let it be targeting, shooting or attacking; this professional gaming mouse helps you achieve the highest ranks in the gaming world. UtechSmart Venus comes with a unique style and design. The upper front part of the mouse divided into different segments of matte and shiny plastic in the middle. Below that is the UtechSmart logo shining in RGB colors. Above the polished layer is the buttons assembly. In the buttons assembly, there left and right button anchored in the center by the textured scrolling wheel. Below the wheel are two buttons with up and down arrows that allow the DPI to be increased or decreased as set by the user. On the left side of the left click button is the fire button. 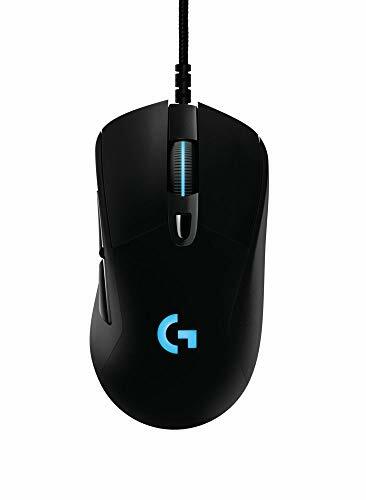 There are support extended portions on both sides of the mouse for the ease of use and for placing the thumb and fingers comfortably while using this gaming mouse. On the left side of the mouse are 12 programmable buttons. These buttons placed in different orientations for the ease of use. This mouse comes with 18 buttons in total out of which 12 are programmable side buttons. There are 5 savable memory profiles each having different colors for identification. Also, this mouse equipped with 8 piece weight tuning set. 16 million LED RGB color options provided in this model which can turn off as wished. It also contains 5 RGB colors backlit modes. UtechSmart Venus gaming mouse built for gamers. It supports up to 16499 DPI, 12000 FPS, 1000Hz polling rate, 30G acceleration. All these mentioned features help in the smooth running of the mouse with any game. This model is exact and accurate when coming towards the response of it. M901 by Redragon looks like a gaming mouse. From head to toe, the curves and edges along with the color scheme provide a very warrior look. The matte plastic case of M901 is black with red color at the base and between the buttons. 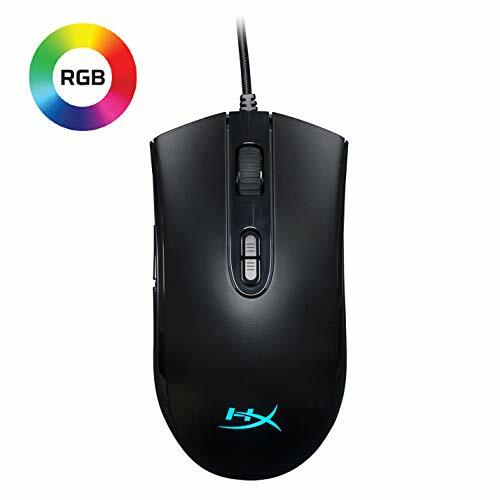 There is a full RGB logo in the center of the mouse towards the front side. Above that lies the right and left click buttons. Between these two, it equipped with a textured scrolling wheel below which lies two buttons for increasing or decreasing the DPI. On the left side of the mouse lies 12 programmable buttons with numbering from 1 to 12. These buttons are placed diagonally to the upper face plane for the ease of use. In addition to all these buttons, there is an elongated button on the left top side of the mouse that usually referred to as a rapid-fire button. 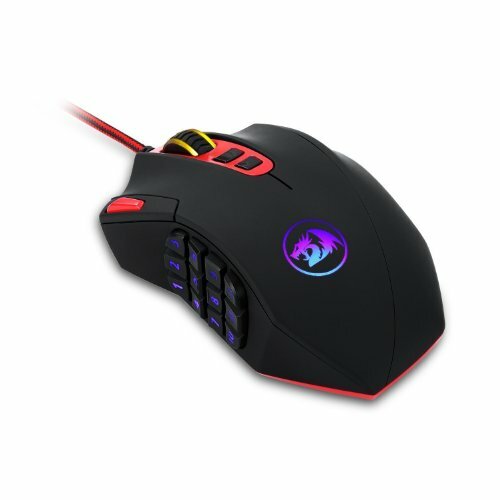 Redragon M901 comes with 5 fully customizable profiles. For each of these profiles, you can easily program your buttons according to ease. You can also set your DPI and to pick specific color schemes. For the rapid switching of your profile, this mouse has a button for that purpose at the base of the mouse. Talking about the performance of M901, it is second to none. It can be shown by the maximum DPI that boosts up to 16,400 which is higher than the DPI of RazerDeathAdder Elite by 400 DPI. The LASER technology of this model is also very accurate. While using LASER of this mouse for tracking, it just does not disappoint. This sleek mouse by HyperX comes with a slim design and a smooth overall look. There is a logo of HyperX at the center of the front view with RGB lighting. Above the logo lies the left and right click buttons hosting in between the textured scrolling wheel and the buttons placed below it. These two buttons serve for the adjustment of the DPI values. Pulsefire is symmetrical in design. It is very different from traditional gaming mice, as most of them are ergonomically shaped. But this does not affect the overall calm and smooth vibe of the model. The smooth and smart design never lets you be uncomfortable. It does not cause any strain even after the continuous use for hours. The right side of the mouse textured in a wavy pattern. The left side also textured in the same manner with two programmable buttons. The ergonomically designed Pulsefire core is accompanied with textured side grips for the ease of use and firm grip while playing games. It also has the characteristic of high-quality switches having feedback for up to 20 million clicks. Other standing features include customizable lighting, DPI setting, and 7 programmable buttons. HyperX N Genuity software lets you set your mouse according to your needs. HyperX Pulsefire Core provides the gamers what they deserve; comfortable and smooth flow. This wired RGB Gaming mouse equipped with Pixart3327 optical sensor that gives you precise and smooth tracking. The DPI setting is up to 6200 DPI. Well, without any exaggeration, out of all the mice reviewed here J-tech digital is the unique one. Not only that it is entirely wireless, but due to its unique design and grip characteristics. The design of this mouse can explain in an exam0le. Just like you take a piece of china clay and smash it with your grip of palm. The shape it makes is much similar to the way of this mouse. I know it sounds lame, but it is true. On the right side of it rests the 4 fingers of your right hand. There are located the right and left click buttons sandwiching the textured scrolling wheel in a vertical plane. On the left side of the grip rests the forward and back buttons. The front side of the mouse is almost vertical while the back side is sliding down with about 60 degrees. There is an extended portion for resting your wrist against the mouse. On the lower side, a USB placed. Remove that and plug it into your operating system. It allows the connection between your operating system and the mouse. J-Tech Digital designed so that it can use in neutral handshake wrist and arm positions providing comfortable and smooth movement. It also helps in reducing wrist pain due to excessive use. 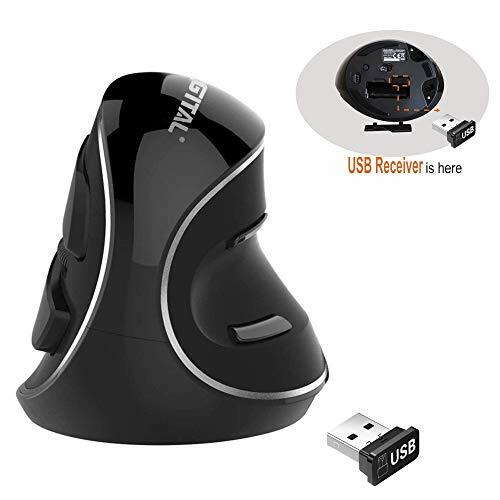 It is a wireless mouse automatically and quickly connected to your PC after inserting the USB. It enables you to be care-free about the problems related to the cables and wires. Adjustable DPI enables the users to switch between the DPI Levels of 800, 1200 and 1600. In this way, you can easily set the responsiveness of your mouse according to your need. Also, Optical Tracking Technology provides higher sensitivity for precise tracking. 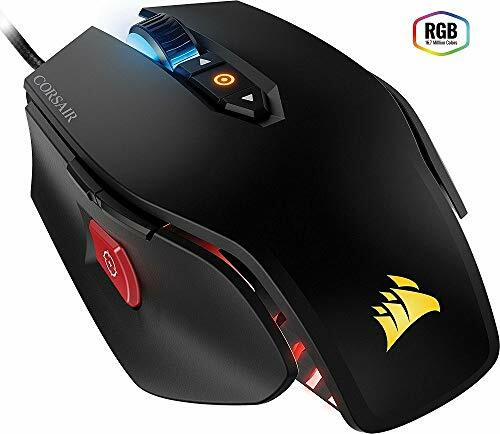 CORSAIR Sabre is a standard looking mouse. The texture is matte with a CORSAIR logo in the center of the front. Above lie the right and left click buttons. Between these buttons lie textured scrolling wheel. On the top left side of the mouse, two buttons located for increasing and decreasing DPI values. On both sides of the mouse, there are some extensions provided for the smooth placing of the hand against the mouse. On the left side of the mouse, there are 2 programmable buttons placed. This design of CORSAIR also supports multiple grip styles. The weight of CORSAIR Sabre is meager, weighing only 100g. This enables users to react more quickly and play longer without causing any fatigue. This mouse also equipped with four-zone 16.8 million color backlighting. This feature lets you enjoy infinite customization virtually. Also, the installed CUE software is a powerful CORSAIR utility engine that gives you customization control. The performance of this mouse equipped with high accuracy and lets you enjoy your gaming for a longer time. The tracking capabilities of this model are also second to none.